A new future for the Gourock Dunoon ferry route starts today (January 21), with the service being brought under the CalMac Ferries flag. Transport Scotland made the decision to incorporate the Argyll Ferries service into the existing Clyde and Hebrides Ferry Service contract at the end of last year. 'We are delighted to welcome our Argyll Ferries colleagues to the CalMac family and look forward to in ensuring a seamless continuity of service for our customers on this route and to developing service improvements over time,' said Robbie Drummond, Managing Director, CalMac Ferries Ltd.
As part of the takeover Transport Scotland have indicated improved harbour facilities for passengers will be considered in the future, including the possible introduction of electric vehicle and electric bike hubs at both ferry terminals, as well as developing the ferry service to encourage active travel users. In the short term timetables and ticketing arrangements currently in place will remain the same. For customers with season tickets there will be no change, these will continue to be valid. 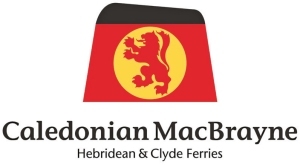 Customers will see both vessels rebranded into the iconic red, yellow and black of Caledonian MacBrayne over the next few months at a time to minimise impact on service delivery. All timetable information for the route will be displayed on www.calmac.co.uk and will continue to be available at www.argyllferries.co.uk until the vessels are rebranded, when service details will be fully transferred to calmac.co.uk.